The climate, the warmth of its people, the food and the intense history and amazing architecture of the area contribute to its allure. If you haven't done it already, you have to travel by train in Europe. It should even be on your 'things-to-do-before-I-die' list. These packages are perennial favorites. They save us valuable research time and give us a sense of what travelers like us enjoyed in the past. If you're dreaming of secluded beaches, go to the Caribbean, but you'll be deprived of the lively, unique charm of Europe's seaside resorts, some of them thousands of years old. 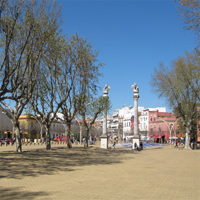 Casablanca is the largest city in Morocco and the country`s commercial and social epicenter. The Romans founded a settlement called `Anfa`, and within a short time it quickly became one of the most noteworthy ports in North Africa. The French influence on Casablanca is undeniable and is on display in the tree-lined avenues south of the Old Medina. The Old Medina and La Corniche, two compact areas full of adventure and surprises, are popular tourist attractions. Hassan II Mosque, Place des Nations Unies, Arab League Park, La Corniche, Plage Ain Diab, Morocco Mall, Bouskoura Forest, Mohammedia, Rick`s Café, The Old Medina, and so much more! Marrakech has a long and storied history tied to the tragedies and triumphs of the sultans and kings of Morocco. 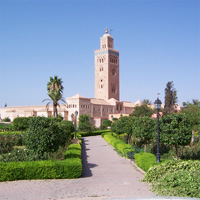 Along with Fez, Meknes and Rabat, Marrakech was one of the four `imperial capitals of Morocco`. The heart of the fortified Old City is an area called The Medina, filled with historical buildings and great shopping opportunities at the myriad souqs. The Medina, along with Menara Gardens and Agdal Gardens, have all been named UNESCO World Heritage Sites. The thriving center of town is the Jemaa el-Fna, which explodes with activity and color after nightfall. Marrakech is also a jumping-off point for tourists to explore the beautiful Atlas Mountains. 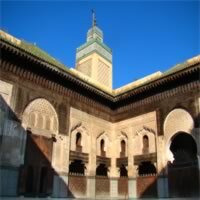 The Medina, Agdal Gardens, Menara Gardens, Koutoubia Mosque, La Palmeraie, Gueliz, Jemaa el-Fna, Jardin Majorelle, Palais de la Bahia, and so much more! Fez is one of the best sights in the world. It is famous for its ancient walled city, often compared to the walled city of Jerusalem. The whole old city of Fez has been declared a UNESCO World Heritage site. The immense medina of Fes-l-Bali (the old city) is a huge labyrinth. Lose yourself in the hustle and bustle of the various markets, and find your way out once you have had enough of all the sights, sounds, and smells that will overwhelm your senses. You should at least try to find the Medersa Attarine, the Medersa Cherratine and Medersa Seffarine, three stunning old buildings near the center of the maze. The other thing you shouldn't miss is the people at work in the median: coppersmith, tanners, and dyers. The view from the hills surrounding the old city is breathtaking - there are two fortresses overlooking the old city, the Borj Nord which contains an armaments museum, and the Borj Sud, which is being developed for tourism. Agadir is Morocco's premier coastal resort arranged along a magnificent bay of golden sand. It is a modern city, showcasing a progressive Moroccan urban style. Its biggest attractions are its holiday facilities and its year-round sunshine. Agadir has relatively few tourist sights, but the markets, fishing port and brand new marina are worth a look and golfers have three courses to choose from. There's part of the original fortress which is at the top of the hill beside the city, over the huge painting. The small zoo, called "Vallée des Oiseaux" hosts birds from all over the world, some goat-like animals from the Atlas, and even exotic mammals. Take a day trip to Paradise Valley - a beautiful palm-lined gorge leading to mountain trails to Berber villages and the seasonal waterfalls of Immouzer des Ida Outanane (at their best in spring). With an impressive history of more than 700 years, Rabat went from pirate stronghold, breakaway republic, to imperial city and became nowadays Morocco's capital. Get a feel of the morrocan lifestyle wandering around this picturesque city. There are several interesting sights not to be missed. 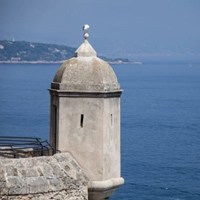 The most important are Bouknadel and its Jardins Exotiques (fascinating gardens) and Chellah which has interesting museums a 17th-century fortress and Roman ruins. The Bab Rouah is one of the most beautiful wall gates in Morocco. It is located at the south east end of the walled city, near the Royal Palace. You can enter the gate free of charge. There are frequent expositions, mostly focusing on modern Moroccan art. If you have the time take a trip to Rabat's sister city - Sale with its Grand Mosque, city gates, markets, small back streets and harbor filled with fishing boats. Tangier is a fascinating Moroccan city, with a mysterious air, an interesting history, breathtaking views, unspoiled beaches, and friendly people. It is the perfect blending between African, Spanish and French influences. Frequent ferries make the short crossing from Europe each day, and many Cruise ships sailing between the Mediterranean and the Atlantic often include Tangier as a port of call. Climb on the top of the hill on which Tangier is built; you will have the chance to see two continents at once. Also, take some time to visit the Tangier American Legation - the oldest American overseas legation. The museum houses documents which retrace the history of the relations between Morocco and the United States since 1776; but also a wide collection of furniture, ancient doors, maps, paintings. Another interesting sight is the Kasbah Museum, the former Sultan's palace. It deserves to be seen not only for it's collection of artifacts from the Phoenician to modern times, but also for the building and garden. Fez is most famous for its ancient walled city, often compared to the walled city of Jerusalem. The whole old city of Fez has been declared a UNESCO World Heritage site. The immense medina of Fes-l-Bali (the old city) is a huge labyrinth. Lose yourself in the hustle and bustle of the various markets, and find your way out once you have had enough of all the sights, sounds, and smells that will overwhelm your senses. You should at least try to find the Medersa Attarine, the Medersa Cherratine and Medersa Seffarine, three stunning old buildings near the center of the maze. The other thing you shouldn`t miss is the people at work in the median: coppersmith, tanners, and dyers. The view from the hills surrounding the old city is breathtaking - there are two fortresses overlooking the old city, the Borj Nord which contains an armaments museum, and the Borj Sud, which is being developed for tourism. See Morocco like never before with this customizable package. Begin in Marrakech (with several historic and architectural sites, as well as some interesting museums) and then hop a flight to Casablanca (A vibrant metropolis with the awe-inspiring Hassan II Mosque - one of the largest in the world and the largest in Morocco, and with the tallest minaret on the planet; the Old Medina and the Shrine of Sidi Abderrahman) and Fez. This is a flexible vacation package. Select your number of nights in each city, desired hotel and activities. Morroco is offerring two of its popular cities in this customizable package. Start this once in a lifetime adventure in Marrakech (with several historic and architectural sites, as well as some interesting museums) and then hop a flight toFez. This is a flexible vacation package. Select your number of nights in each city, desired hotel and activities. Combine Seville, Jerez de la Frontera, Tangier, Casablanca (A vibrant metropolis with the awe-inspiring Hassan II Mosque - one of the largest in the world and the largest in Morocco), Marrakech (with several historic and architectural sites, as well as some interesting museums), Rabat, Fez, Tangier and Marbella on this once in a life time adventure using a rental car. This is a flexible vacation package. Select your number of nights in each city, desired hotel and activities. Start this once in a life time adventure in Morocco and journey to the heart of Spain. Begin in Marrakech (with several historic and architectural sites, as well as some interesting museums) and then hop a flight Fez and then hop another flight to Madrid (featuring the Golden Triangle of Art, its famous nightlife and endless energy). This is a flexible vacation package. Select your number of nights in each city, desired hotel and activities. This customizable package lets you witness Turkey, Morocco and Egypt like never before. Start in Istanbul (the largest city of Turkey, and explore their dazzling Grand Bazaar, which will give you a taste of the real Istanbul experience) and then take a flight to Cairo (the Pyramids, museums, rich culture) and then take another flight to Casablanca (A vibrant metropolis with the awe-inspiring Hassan II Mosque - one of the largest in the world and the largest in Morocco, and with the tallest minaret on the planet; the Old Medina and the Shrine of Sidi Abderrahman) and then take one more flight to Fez. This is a flexible vacation package. Select your number of nights in each city, desired hotel and activities. Egypt and Morocco are at your disposal with this customizable package. Start in Casablanca (A vibrant metropolis with the awe-inspiring Hassan II Mosque - one of the largest in the world and the largest in Morocco, and with the tallest minaret on the planet; the Old Medina and the Shrine of Sidi Abderrahman) and then hop a flight to Fez and then take another flight to Marrakech (with several historic and architectural sites, as well as some interesting museums) . Continue with another flight to Cairo (the Pyramids, museums, rich culture) and then a final flight to Luxor (one of the most important destinations of the Southern Egypt, lying on the Nile Valley). This is a flexible vacation package. Select your number of nights in each city, desired hotel and activities. The hotels were great and as advertised - and at EVERY single hotel, we were upgraded for free, which was a nice surprise. Experience was extremely positive. Everything went as expected.